Torra Bay Skeleton Coast accommodation guide everything you need to know before visiting Torra Bay Skeleton Coast Namibia. Photographs, room types, activities, facilities, location booking information costs rates and prices for your stay at Torra Bay Skeleton Coast, read all the accommodation information about Torra Bay. 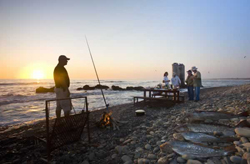 Torra Bay campsite is a popular fishing retreat, situated within the Skeleton Coast Park. 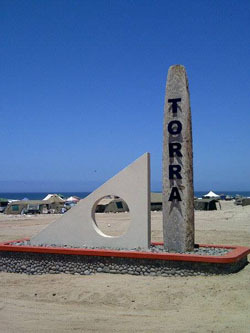 Torra Bay, only open in December, January. Fishing from the shore here is excellent. Camping sites with basic amenities and communal ablution facilities are available. Visitors have to bring all equipment along.